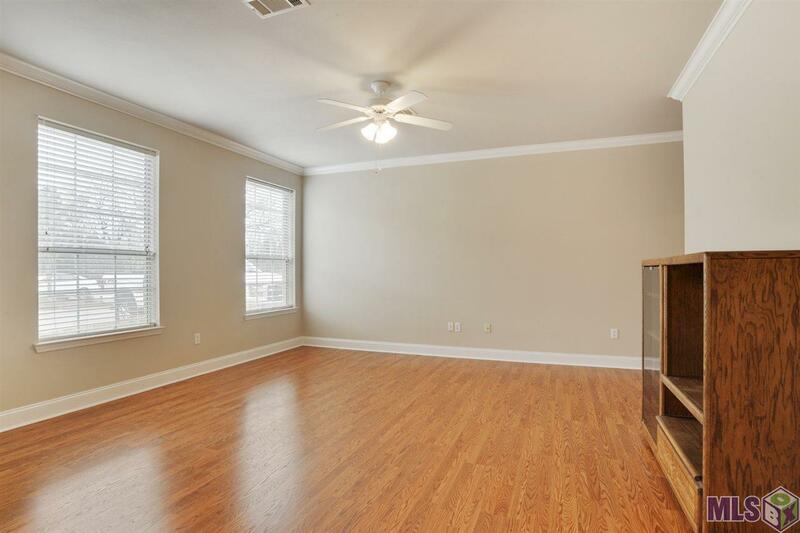 This condo in the gated Brightside Estates complex on the LSU bus route is sparkling and in mint condition. SEE DOCUMENTS FOR FINANCING OPTION. 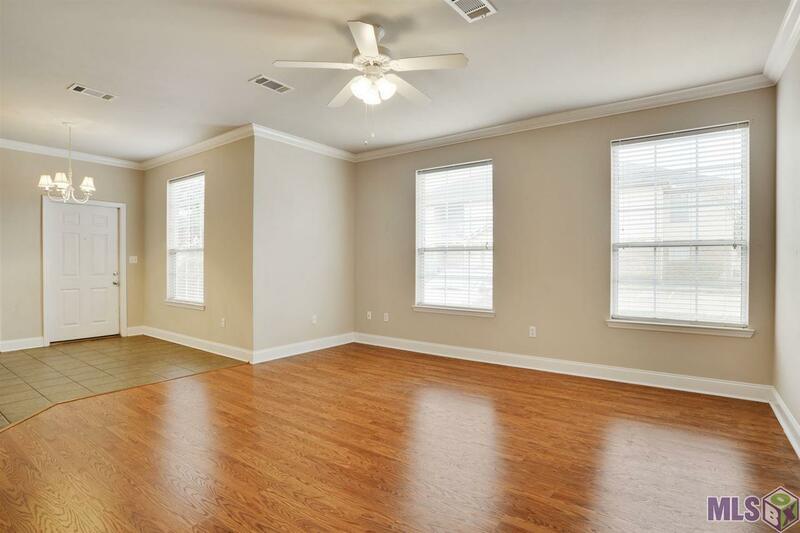 Two bedrooms and two baths with very open floorplan. Each bedroom has its own bath and large walk-in closets. 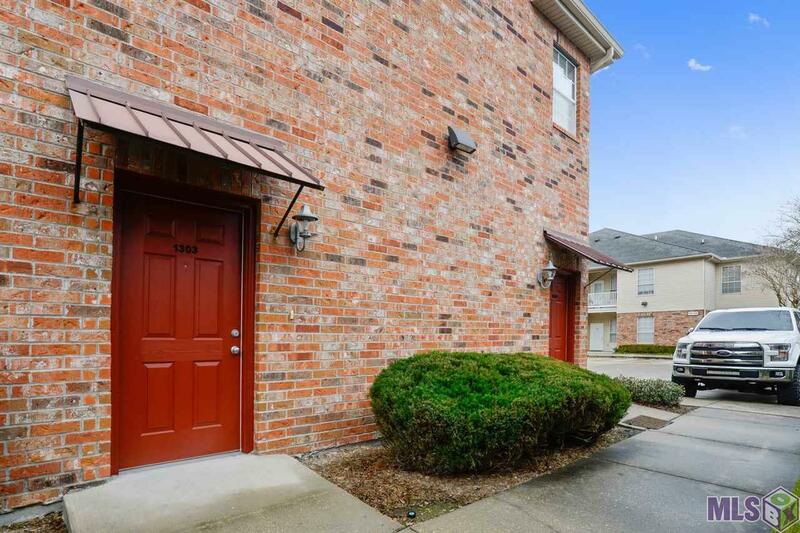 Downstairs unit with parking just outside of the door and very conveniently located right in the front of the complex. New $5000 AC was installed in 2017. All windows have nice faux-wood blinds. Washer, dryer, and refrigerator are all in place. Laminant wood-look floors in den and both bedrooms. Ceramic tile in kitchen, laundry and baths. Inside laundry. Pantry in kitchen. Small outside storage unit located by the covered back patio. Neutral paint colors and lots of windows making this condo light and bright! Crown molding throughout. Separate breakfast area between den and kitchen. Kitchen has breakfast bar and all appliances, including a microwave. There is a large closet off the foyer for added storage. The complex has a pool and volleyball court to enjoy as well as some nice green space and walking trails. 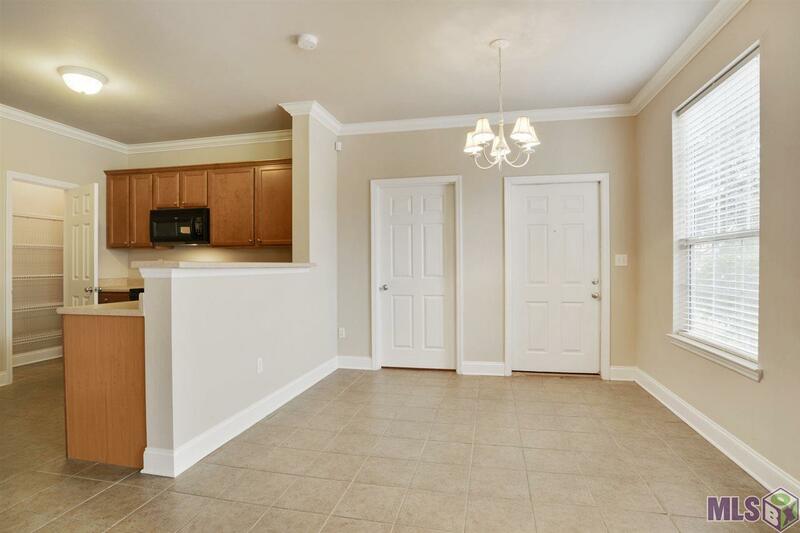 This location cant be beat for proximity to a brand new shopping center, gas station, restaurants, LSU campus, pharmacy, bookstores, grocery stores, ice cream and coffee shops!